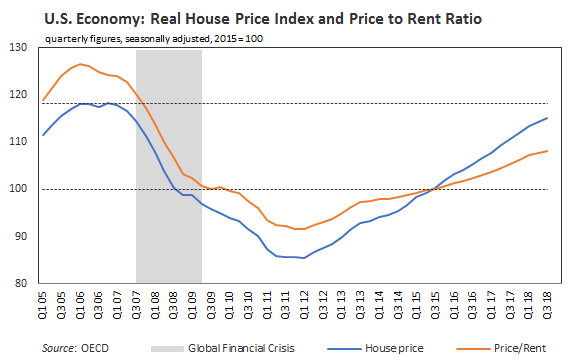 In my prior post, I showed the price-to-rent ratios for the six economies. Below I show the two parts of the ratios separately and indexed to Q1 2010 as the base. 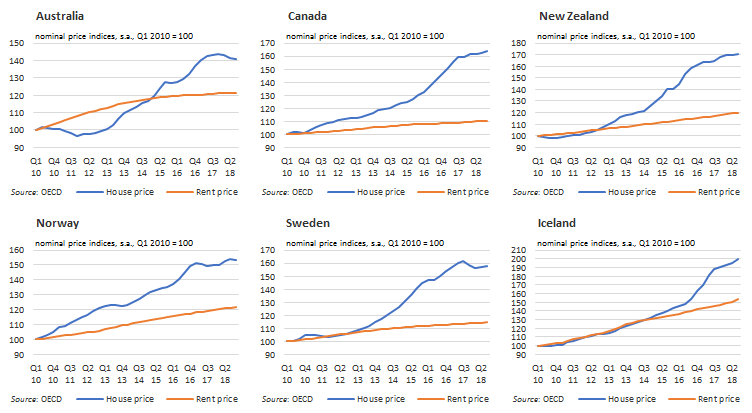 Note how house and rent prices in Iceland rose at the same pace until Q1 2015 when they started to diverge. In Iceland, housing prices are up 100% or have doubled, over the period. It is good to keep in mind that the GFC had its origin in the U.S. housing market. The chart below shows that the U.S. house price index is up 15% since 2015 and is getting close to its 2006-07 peaks.